But now, my faithful readers, now, I can finally begin to post again. I officially held my housewarming party this weekend, forcing me to unpack the last remnants of the boxed items and find a home for them, and now, I suddenly find myself free at last to bring you more deliciousness. Well fear not, for deliciousness I have brought. I do, however, want to add a few notes of warning to this recipe. Do not think you can quickly whip this up for dinner at 6pm and be ready to eat by 7. You will be sadly disappointed when 9:30 rolls around and you are finally taking the lasagna from the oven. Why I thought my multitasking skills could compete with this recipe, I’m not sure, I must have been addled by the dust my unpacking had stirred up, but make sure you give yourself plenty of time when making this dish. That said, it’s totally worth it when you finally get to the end. A second note. This recipe calls for oven-ready noodles, meaning you don’t have to cook the pasta first, you assemble the lasagna with the pasta dry. I would recommend substituting cooked noodles here. I used the oven-ready as instructed, but found that this recipe doesn’t make quite enough sauce to soak the dried noodles, leaving me with uncooked, crunchy noodles around the outsides of my lasagna. Not the end of the world, but also not really what I was going for. So consider cooked noodles when you try this one out. That said, this lasagna is a perfect meal for a cold winter night. The sweetness of the squash counters the bitterness of the spinach perfectly, and the white sauce with a hint of nutmeg really brings it all together for a delicate combination of winter flavors that make you think of snow days and Christmas! 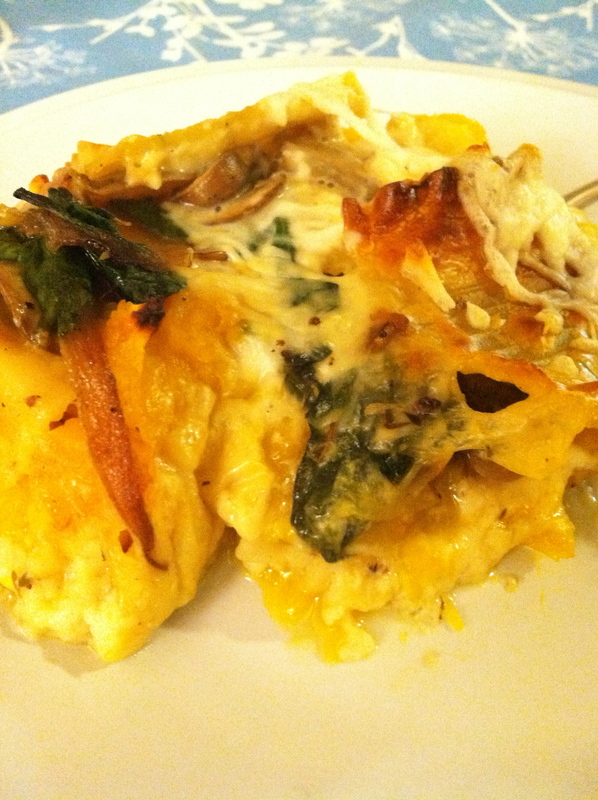 (Or your favorite winter holiday, this lasagna’s awesomeness is non-denominational.) Serve it with a green salad and a glass of chardonnay and you are all set to impress holiday guests! 1. Preheat your oven to 425° F. Cook your noodles if you’re going that route. 2. 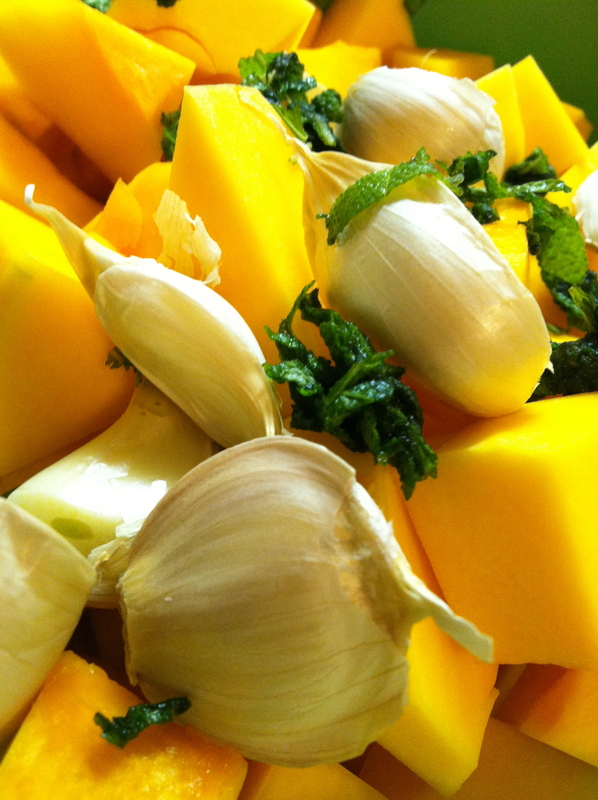 Combine the squash, 1 tablespoon of oil, sage, garlic, and a dash of salt and pepper in a large bowl. 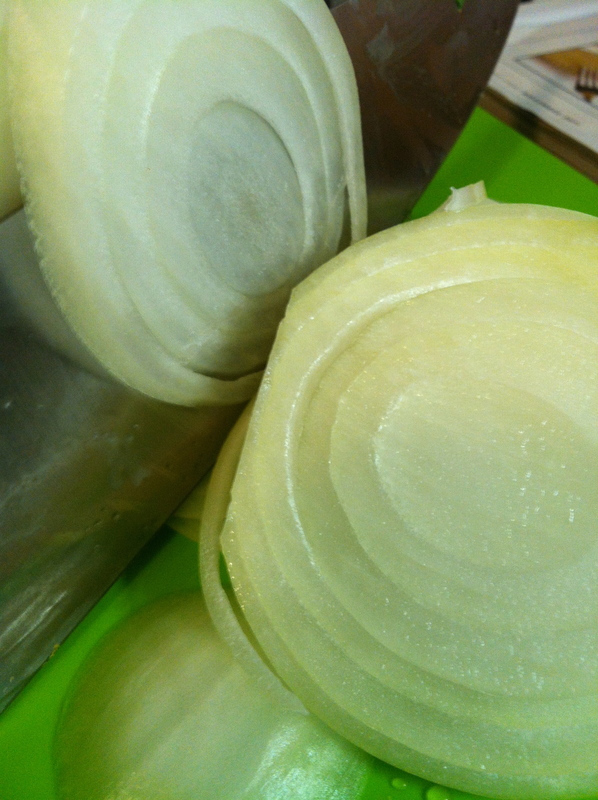 Toss to combine and spread them in a single layer on a baking sheet lined with parchment paper. 3. 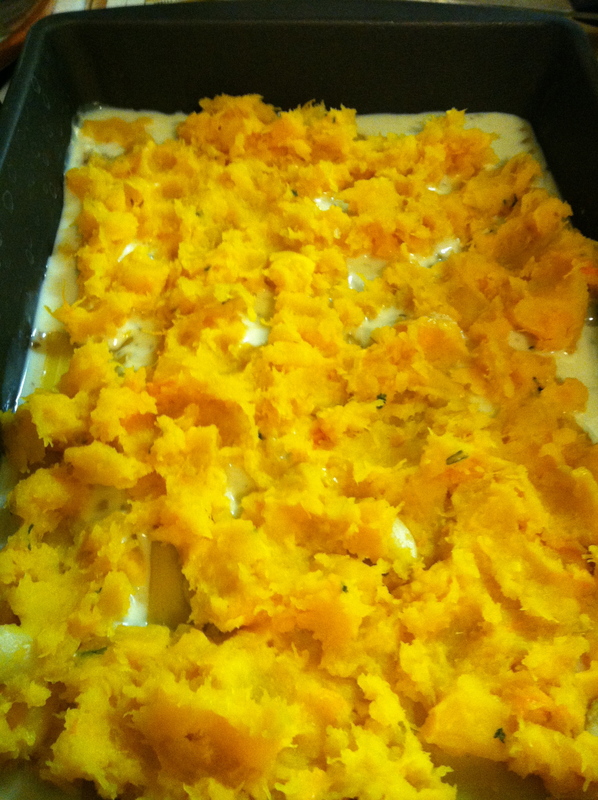 Bake at 425° F for 30 minutes, or until the squash is tender. 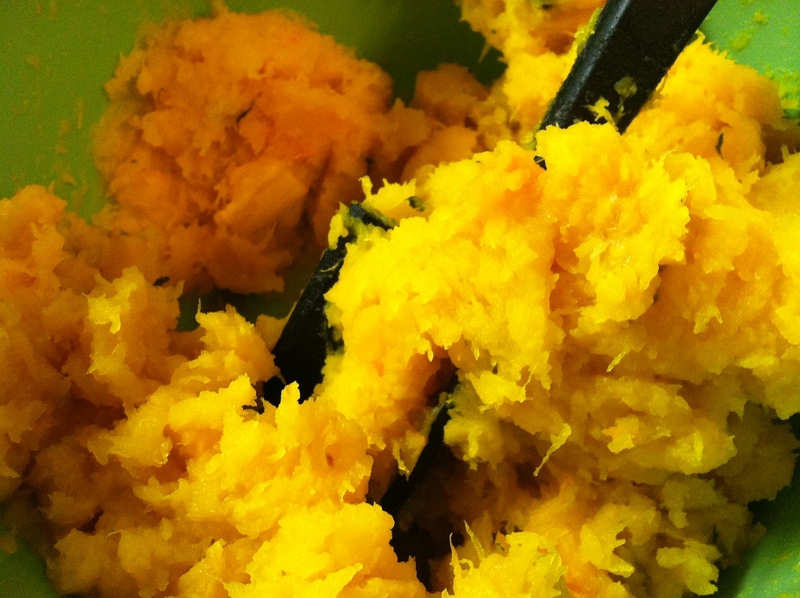 Let it cool slightly, then peel the garlic, return the mixture to the bowl and mash it all together. 4. Heat the other tablespoon of olive oil in a large Dutch oven over medium-high heat. Add the onions and sauté for 4 minutes, then reduce the heat t medium low and continue cooking for 20 minutes, or until the onions are golden brown, stirring frequently. 5. 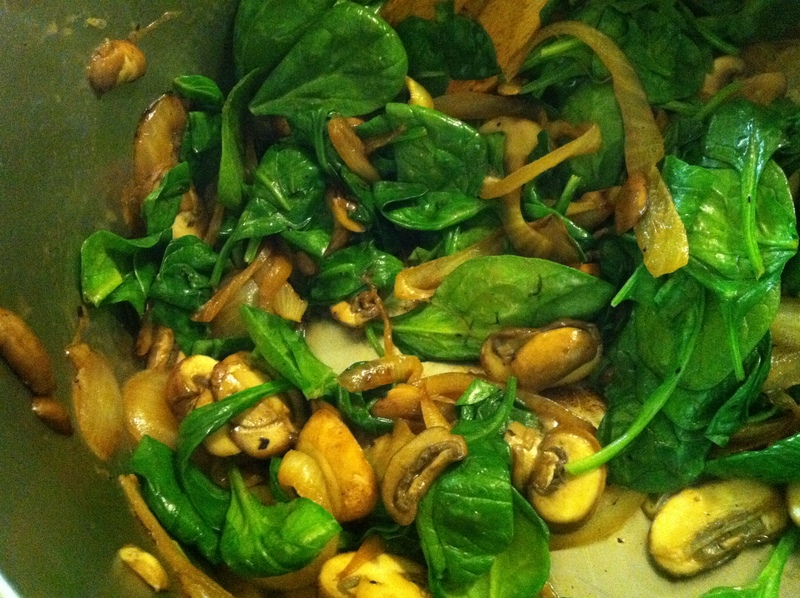 Add the spinach and mushrooms to the caramelized onions and stir until the spinach has wilted. Remove from heat. 6. 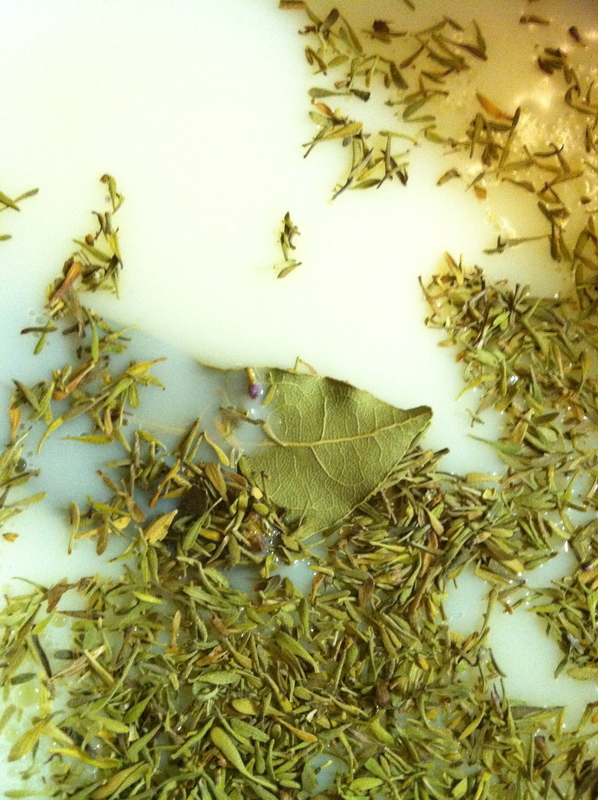 Heat 4 1/2 cups of milk, the bay leave and the thyme in a medium saucepan over medium-high heat, stirring constantly. Bring to a boil, then remove from heat. Let it stand for 10 minutes, discard the bay leaf and the thyme and return the pan to medium-high heat. 7. Combine the remaining 1/2 cup of milk and flour in a small bowl. Whisk to combine, then add to the pan of milk on the stove, reduce heat to a simmer, and continue whisking until throughly mixed. Continue cooking until the mixture thickens, about 5 minutes. 8. Remove the pan from heat and stir in the nutmeg and shredded cheese. 9. To construct your lasagna, spread 1/2 cup of the milk mixture in the bottom of a 13×9 inch pan coated with cooking spray. Then arrange 3 noodles over the mixture and top with half the squash followed by half of the onions, spinach and mushrooms. Repeat the layers, finishing with the noodles. Spread the remaining milk mixture over the noodles and bake at 425° F for 30 minutes. 10. Sprinkle the top with cheese, return to oven for 5 minutes until melted, then serve and enjoy! This entry was posted in Uncategorized and tagged Butternut Squash, Italian, Lasagna, Mushrooms, Onion, Pasta dishes Weekend meals, Spinach, Winter by theculinarycapers. Bookmark the permalink.